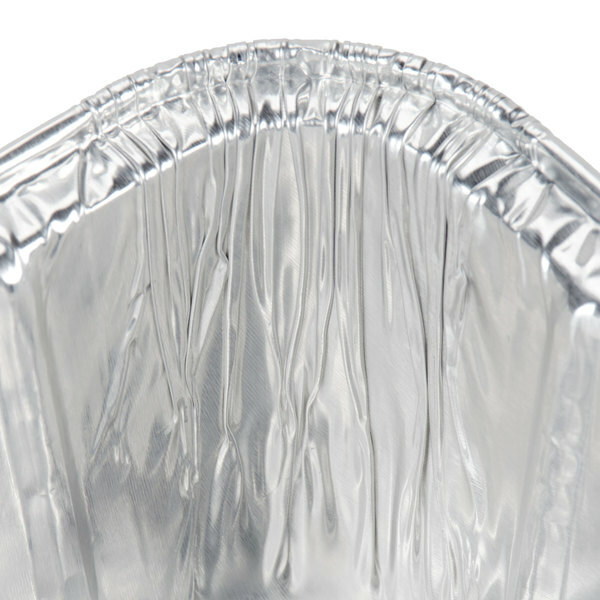 Boost your bakery's efficiency with this versatile Durable Packing 5100-35 foil bread loaf pan. 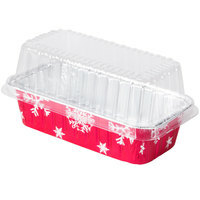 Give your customers the greatest bread, fruit cakes and jelly rolls they've ever tasted in this 2 lb. 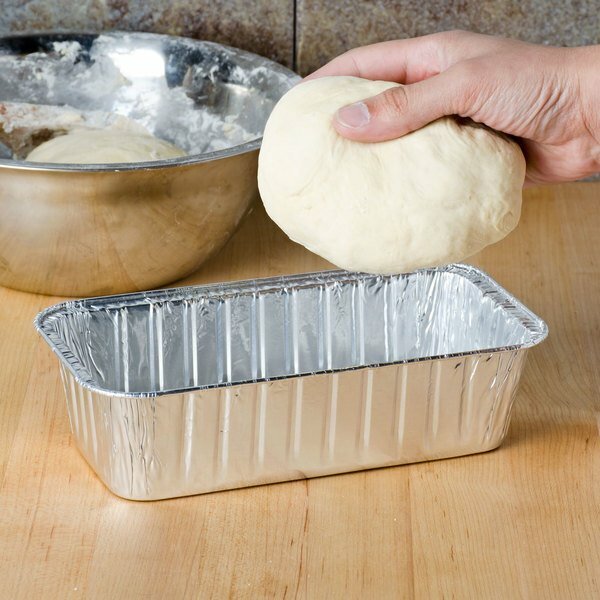 foil bread loaf pan! Hectic bakeries are sure to appreciate the versatility of this pan as it allows you to bake, store, and sell from the same vessel. "These are great pans for a standard size loaf. 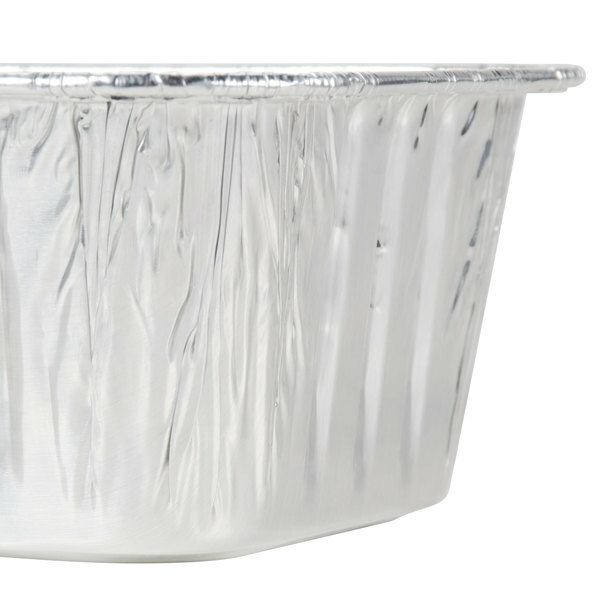 Sturdy enough to hold up to heavy batters, such as banana bread or zucchini bread. I will buy these again." Made of thick aluminum to support even the heaviest batters, this pan also features a full curl rim for added strength. 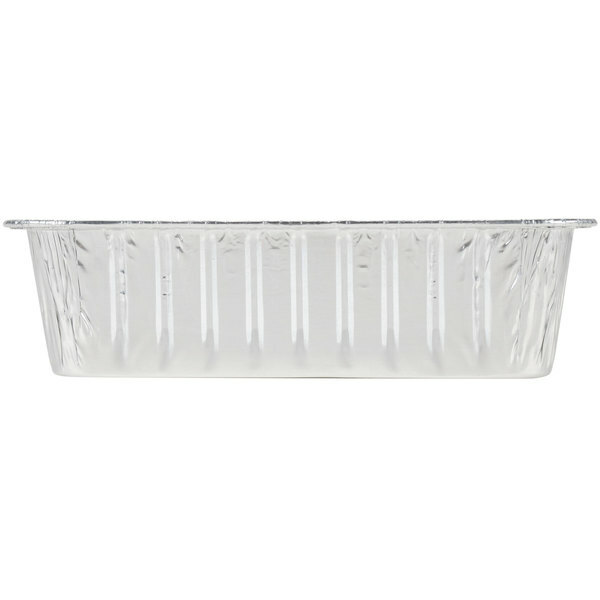 This loaf pan is the perfect size for banana, zuchini, and a variety of other breads, as well as dishes like meatloaf or even casseroles! 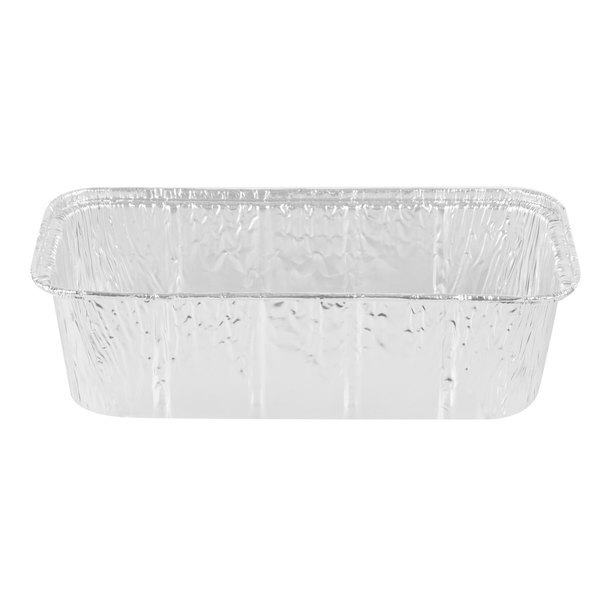 While using a china loaf pan means investing time in removing the baked product and cleaning the pan, this foil loaf pan is disposable to minimize cleanup! And once your food is baked, the pan can be slid right into a merchandiser or topped with a compatible lid so you can can send it home with a hungry guest. I use these pans to carry my home-cooked foods to anyone anywhere. Foods ranging from cake, cornbread, turnips, peas, to chicken, cake, meatloaf, etc. The pans work great for cook and carry then dispose! Great for making medium to large banana bread, apple streusel bread, Pound cakes, blueberry coffee cake and more. Great value and sturdy loaf pan. High quality. This item is wonderful for quick purposes such as baking and cooking. It is easy and disposable so it does not cause a mess around the kitchen. I have to say these have exceeded my expectations. I expected them to be like the competitions and be flimsy and easily torn or crinkled but they are in fact quite strong and very useful for moving around hots for catering orders. Great for portioning in my smaller catering jobs. Good for loaf breads, dips, condiments in casual catering events. Quality, not flimsy. Love it them and recommend to everyone. I love these pans. I use them for baking all sort of sweet breads like the pumpkin bread that I can't seem to bake fast enough for everyone to eat. My wife also uses these for meatloafs. Save Up To $57.90 with our Recommended Product! Try this D&W Fine Pack A82 2 lb. 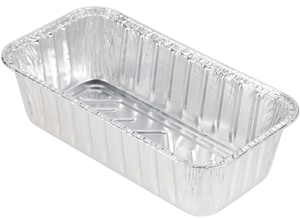 aluminum foil loaf pan instead! 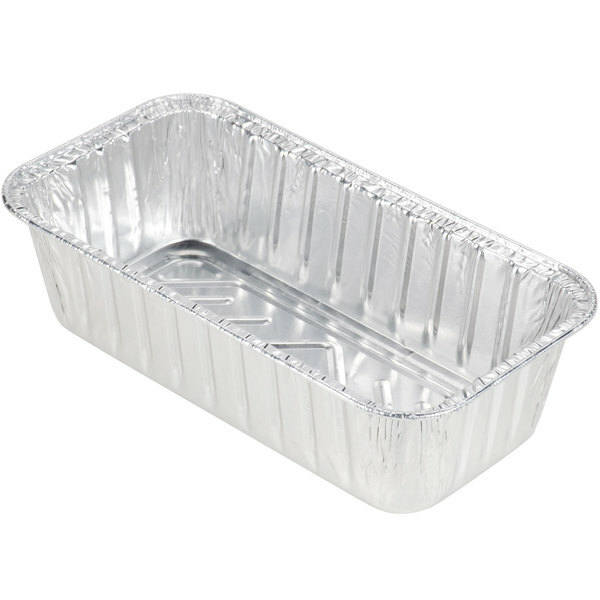 Also great for baking your signature breads in a conveniently-disposable pan, this loaf pan gives you the same great features as the one you selected, yet it comes to you at a lower price. Use it to make classic banana or cinnamon-raisin bread, or try something new, like peach, blueberry, or raspberry bread. With this pan, you'll get the same 2 lb. capacity as the Durable Packaging 5100-35. The gauge of the pan is also equal to the one you selected, so there's no sacrificing quality for affordability with this pan. Make the switch today to save some dough!